I've been working on a few figures for other people recently. 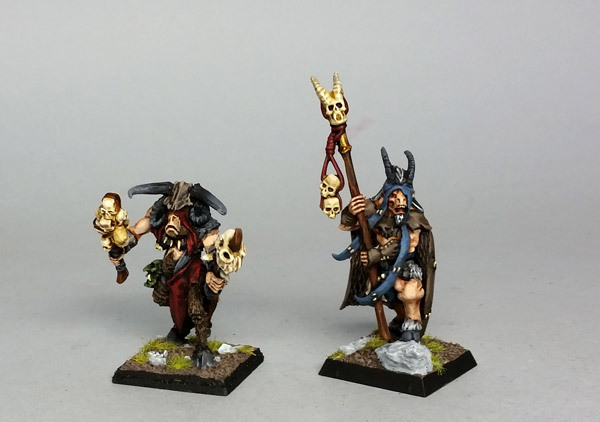 More beastmen. I hadn't paid too much attention to the Citadel beastmen since the old RoC days, but these and the other two I painted recently are pretty nice figures. 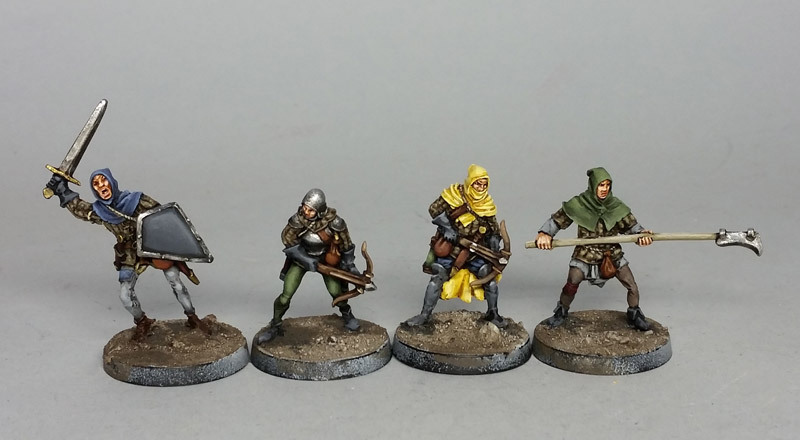 I still have a few minor touch-ups on these medieval/fantasy warriors, and then on to six more to go with them. I've discovered LibriVox. Public domain audio books. About once a week I commute to & from an aviation museum I do some work for. It's a little over an hour drive and I have listened to a few audio books before (The Silmarillion, and a lengthy interview with Robert Anton Wilson) but mostly listen to music. But now that I've downloaded an audio library, classical history it is! I'm currently listening to Xenophon's Anabasis, which I am enjoying quite a bit. I've read/studied a lot of Roman history, but have only touched on Greek history before. So this is new to me. I have Thucydides' Peloponnesian War and Herodotus' Histories lined up next. With this in mind, the obvious question is: when do I start painting Greeks & Persians, right? At any rate, I'm willing to give it a shot, provided I can actually make it out for a few games. Exquisite work -- those beastmen are just amazing. And thanks for the tip about Libri Vox... I listen to a lot of audiobooks while I paint and work to work -- but I usually pay for them (from Audible -- which I'm generally happy with). I'll have to check out L.V., because some months I really burn through the books (luckily/unluckily I am now trying to work through Proust, which has the advantage of burning up many hours for not much money, and the disadvantage of being supernaturally boring. But I guess any encounter with the supernatural is interesting in its own way). I've only looked through some of the history section of LibriVox, but the selection was pretty small. Not sure what the rest of the catalog is like.